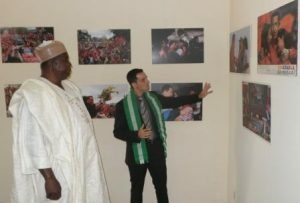 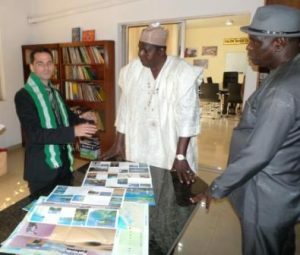 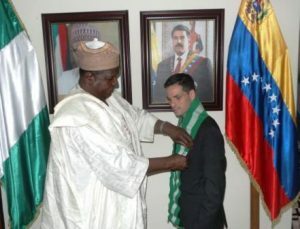 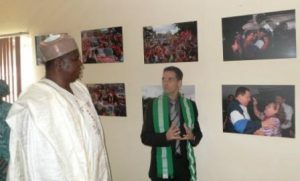 Otunba Olusegun Runsewe, OON decorates HE Miguelangel Della Vecchia, Head of Mission, Embassy of the Bolivarian Republic of Venezuela with Nigerian Murphler and Council’s Pin Crest “Our Culture Our Pride” during a courtesy visit on the Embassy. 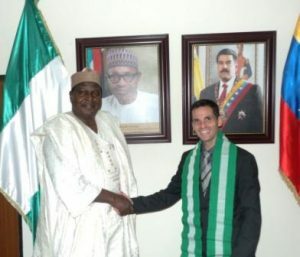 Otunba Olusegun Runsewe, OON and HE Miguelangel Della Vecchia, Head of Mission, Embassy of the Bolivarian Republic of Venezuela having a warm handshake during the courtesy visit on the Embassy earlier today. 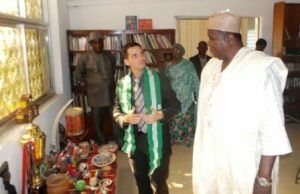 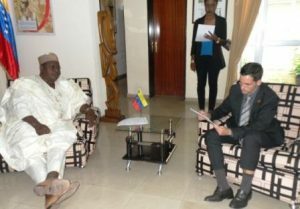 Otunba Olusegun Runsewe, DG NCAC selling INAC to HE Miguelangel Della Vecchia, Head of Mission, Embassy of the Bolivarian Republic of Venezuela. 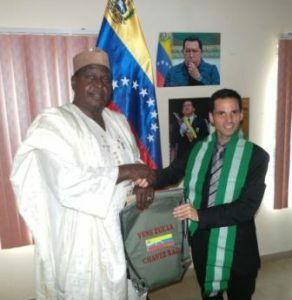 HE Miguelangel Della Vecchia, Head of Mission, Embassy of the Bolivarian Republic of Venezuela presenting some Children School Kits to Otunba Olusegun Runsewe, OON as he tells him the humanitarian supports the Embassy have given to some communities in Nigeria.